Shell holder attaches to the side of your receiver using the included hardware. Base attaches to shotgun and the shell holder is removable. Shell holder has a unique dual ball locking system. Base is made of steel and shell holder of high grade polymer. Need a spare holder for your side saddle TBT system. Shell holder easily attaches on your side saddle mount base by TBT. 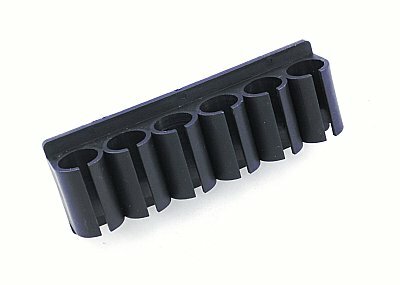 This extra shell holder gives you an extra 6 shells that you can easily slide on your TBT shotgun shell holder base. Fits our STK-TBT500SHELL and STK-TBT870SHELL side saddle systems. Keep extra rounds where you need them for instant use. Easily pre load six rounds and have them at the ready. Note: this is the shell holder only, does not include the base. Shell holder attaches to the side of your existing TBT side saddle shell holder base. 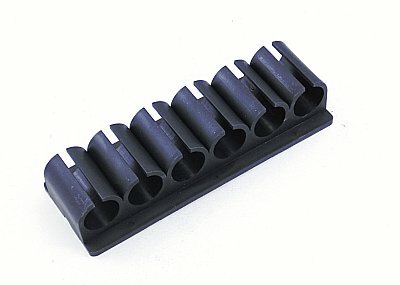 shell holder is removable allowing you to always have extra shells at the ready. 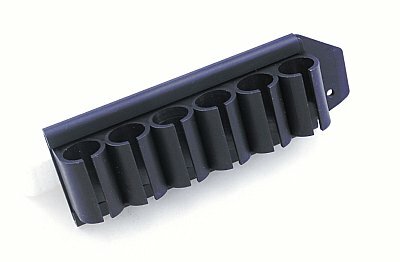 Shell holder has a unique dual ball locking system allowing easy mounting and removal. Designed to be used with TBT side saddle systems. 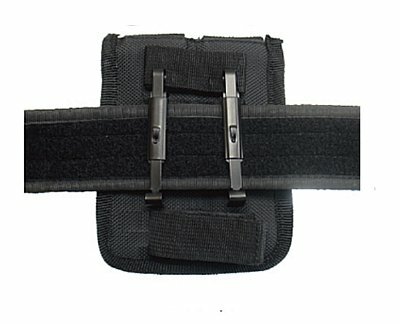 Mag pouch holds two of your favorite pistol mags and easily attaches to your belt or tactical gear. Fold over cover adjusts to different length mags and protects mags from loss or debris. Store your mags for easy access when needed. 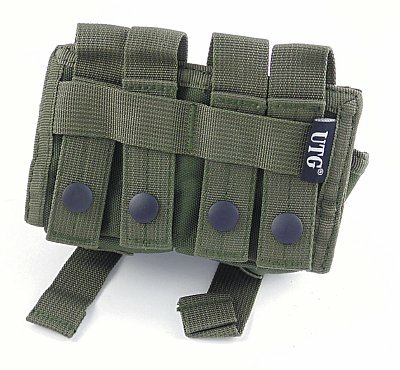 Very well made dual magazine pouch uses Alice Clips for attachment. Easy to attach to any belt. 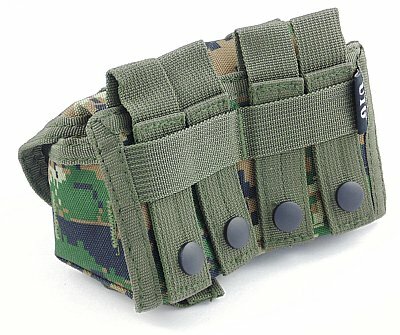 Hook and loop closure allows for easy access and keeps mags close when needed. Roomy pockets can even handle the large Desert Eagle 357 9rd mag. Great for all you popular pistol mags. 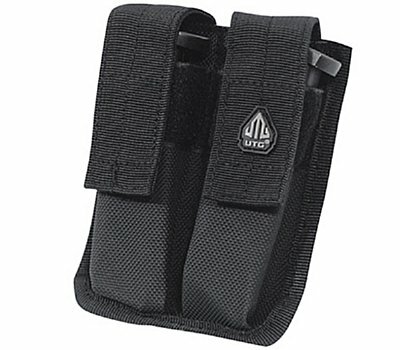 Great Molle web gear pouch 10.5x8x4 inches in size with Velcro closure. 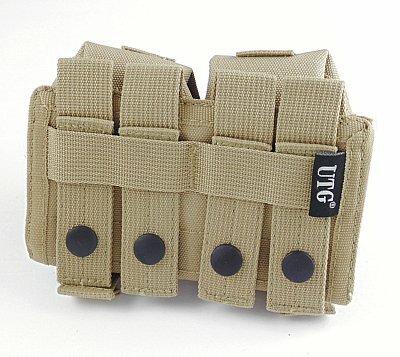 Great for tools, mags, ammo, gas mask! Lots of uses! 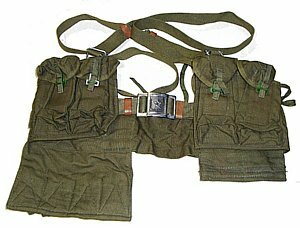 Web 40mm Grenade Double Pouch. While designed for grenades this unit has many uses. Adjustable Velcro closure for solid retention of contents. 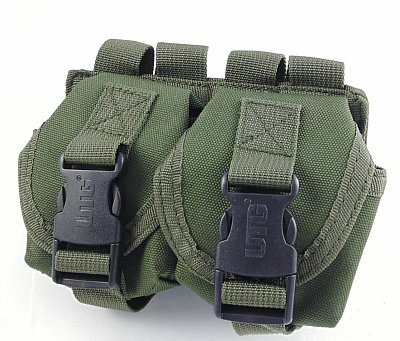 Dual pocket pouch fits to your tactical gear with ease. 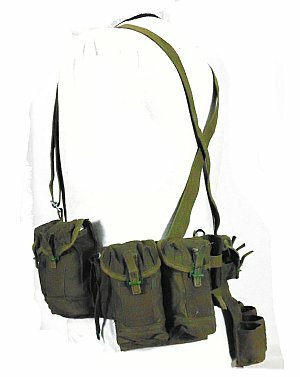 Dual pockets give you storage for the items you need in the field. 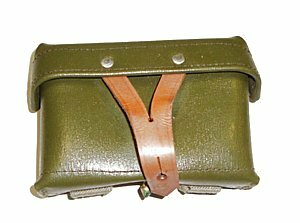 Heavy duty pouch is also great for ammo storage. 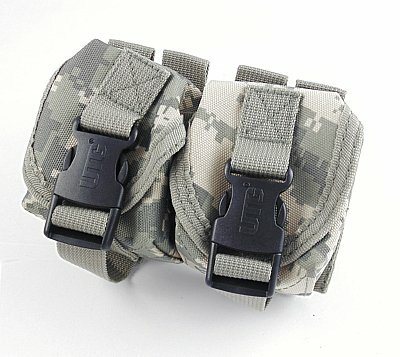 Dual pockets for small item storage, molle attachment to your gear. 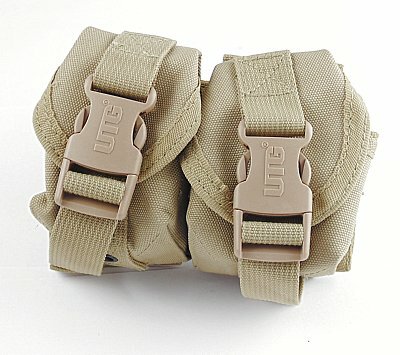 Heavy duty UTG clips with adjustible straps. 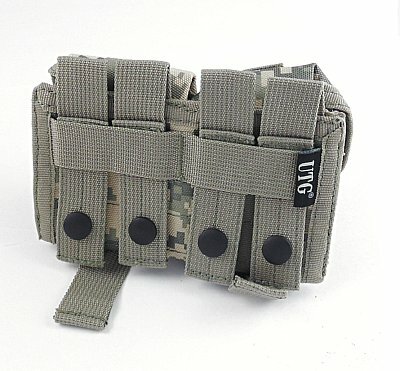 Field gear that stands up to use! 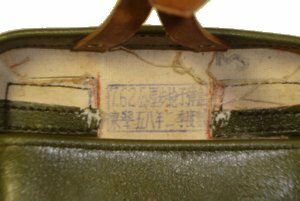 Size: 6 x 2 1/2 x 4"
Pocket Size: 3 x 4 x 2"
These are original Mag and Ammo Chest bandoleers for the Type 63 PLA Chinese troops. 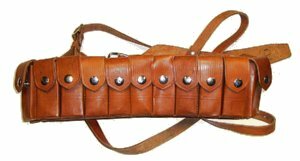 Bandoleer has 6 mag pockets and 4 grenade pockets. Mag pockets were designed for the AK 20 Round mags, these hold other mags as well as ammo on stripper clips. 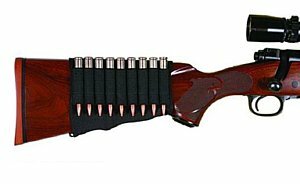 We have tired FAL and M14 (as well as similar mags) mags. 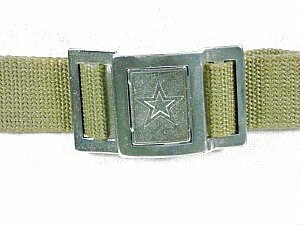 Metal belt buckle has the PLA star for all to see. 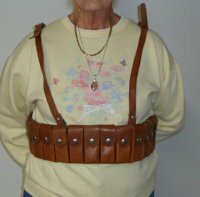 Chest bandoler has shoulder rigs as well as adjustible girth. A great addition to any Communist Chinese collection. 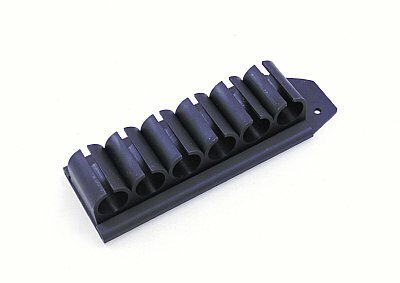 These can be used with AK or SKS ammo on stripper clips for ease of carry in field use. Another David's Collectibles hard to find collectible. What is a Type 63 rifle anyway? The Type 63 looks like a SKS, but is actually a hybrid between the SKS and AK. It is a gas operated, select fire weapon, with a AK type rotating bolt system. The gas system is not quite SKS or AK and has a dual position gas regulator. The mags are 20rd AK type, close to AK mags, but they will not fit the AK. These were the first domestically produced and designed mass produced select fire weapons built by the Chinese. 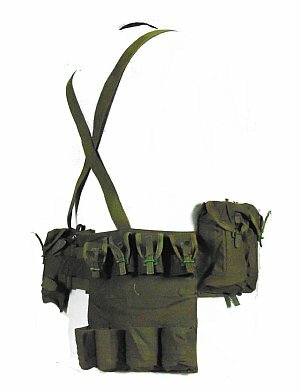 Military chest rig is made of tough durable material for long and hard use. Green color blends well with woodland surroundings. 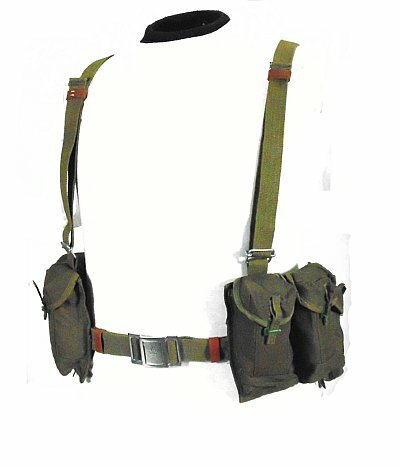 Shoulder straps are adjustible for size and girth is also adjustable. All hardware and buckle are metal. 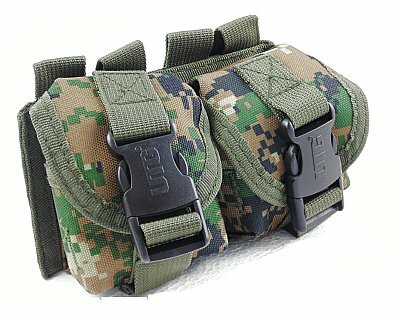 Chest rig has the Chinese Star on the metal buckle. Rare piece of military history. 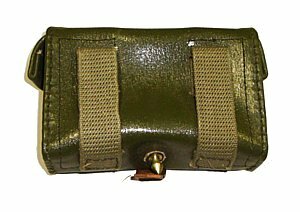 Original Leather C96 Broom Handle Mauser ammo pouches in excellent surplus condition. Each pouch has 12 mag pouches with closure clips on each puch. 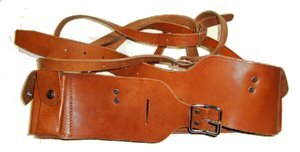 Adjustible belt and shoulder straps are leather with metal buckles. These have been in storage for many years and are a very rare find, in very limited number.